That didn’t take long! 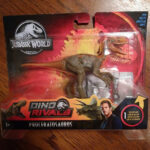 We may have only just found out about Mattel’s newest Attack Pack figures, and now it appears some of those toys are already showing up in US Walmart stores. 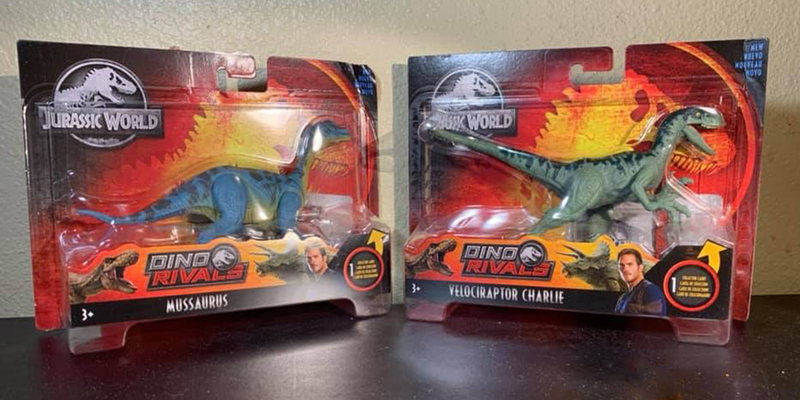 Sightings in California and Utah suggest that Attack Pack Wave 3 is officially upon us, which includes Mussaurus, Proceratosaurus and Velociraptor Charlie. 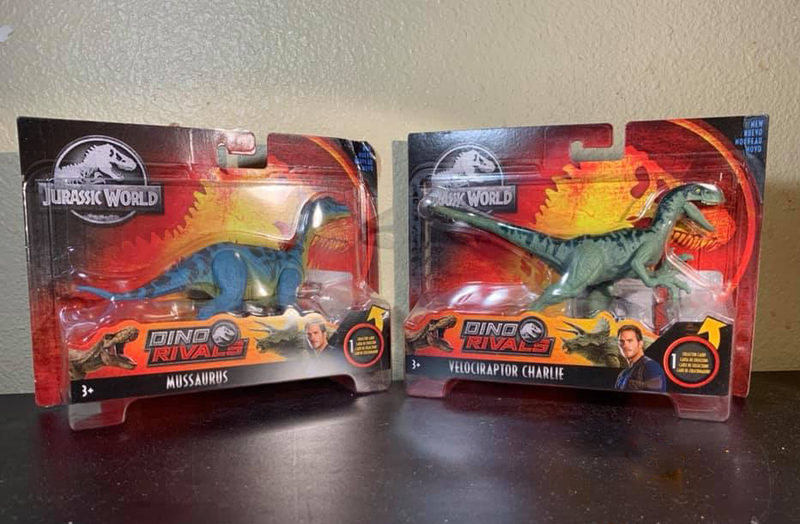 Thanks to Toy Adventures and Casey J. we also have photos of these latest releases in packaging as well as the exact case pack contents for Wave 3. 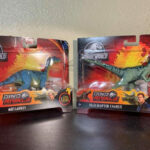 Each shipping box in this wave will contain 3x Velociraptor Charlie, 1x Mussaurus, 1x Proceratosaurus and 1x Dracorex. 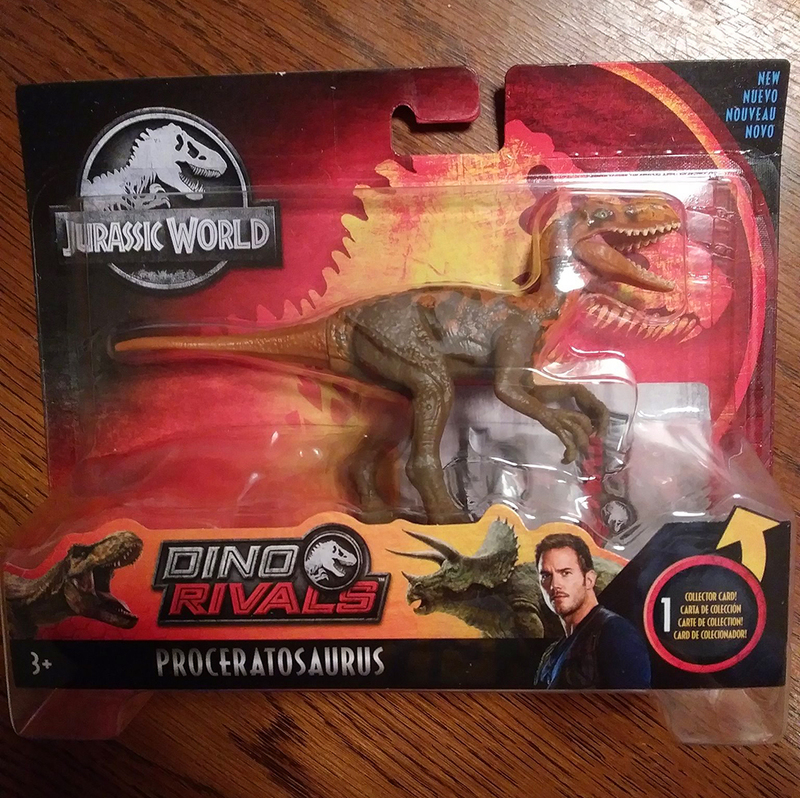 With that information it can be assumed that Charlie will end up being pretty common once these figures are fully distributed, with Mussaurus and Proceratosaurus being the harder of the three to track down. Please let us know if you find these latest releases in your state or county so we can help spread availability information on our Instagram, YouTube, Facebook and Twitter. And as always, happy hunting! Already got my eyes peeled for these. I live in Nevada, right near both California and Utah, so chances are my state will be seeing these soon enough. My Walmart up here in VT tends to lag behind everyone else. The newest stuff here is the Savage Strike Dimetrodon and Tapejara. Decided to try my luck on Amazon with Mussaurus and some of the other upcoming toys with that “Ships in 1 to 2 months” nonsense.